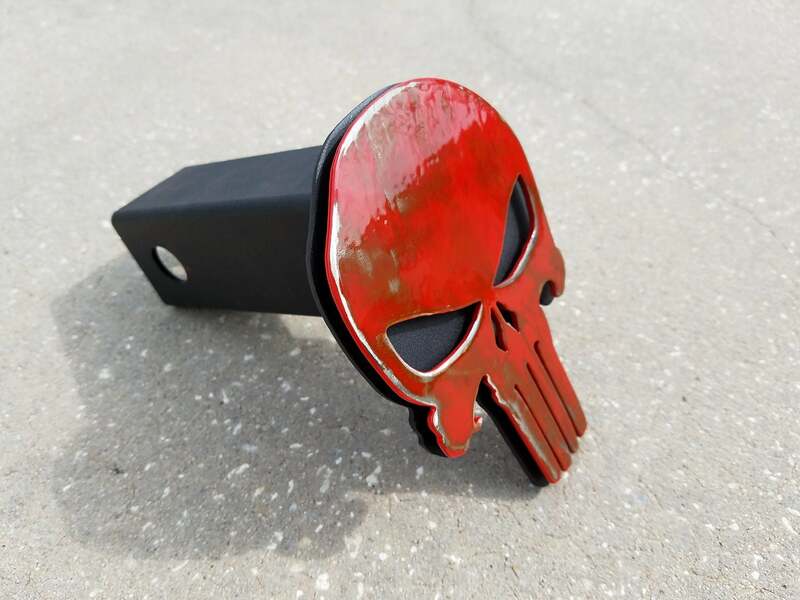 Awesome punisher skull trailer hitch cover to add a bit of cool to your ride when you arnt dragging around a trailer full of toys. This one is a bit different, a bit more involved. 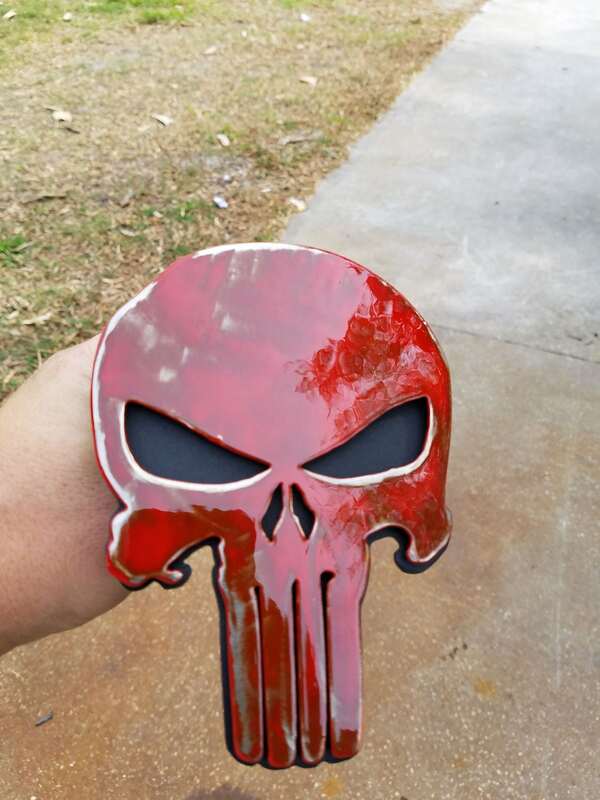 This one starts out as a normal, powdercoated version before it is distressed, and then treated to an additional powdercoat process of clear to seal in the look and keep rust out. Due to the way these are distressed, by hand, there is absolutely no way to ensure each one is exactly the same. 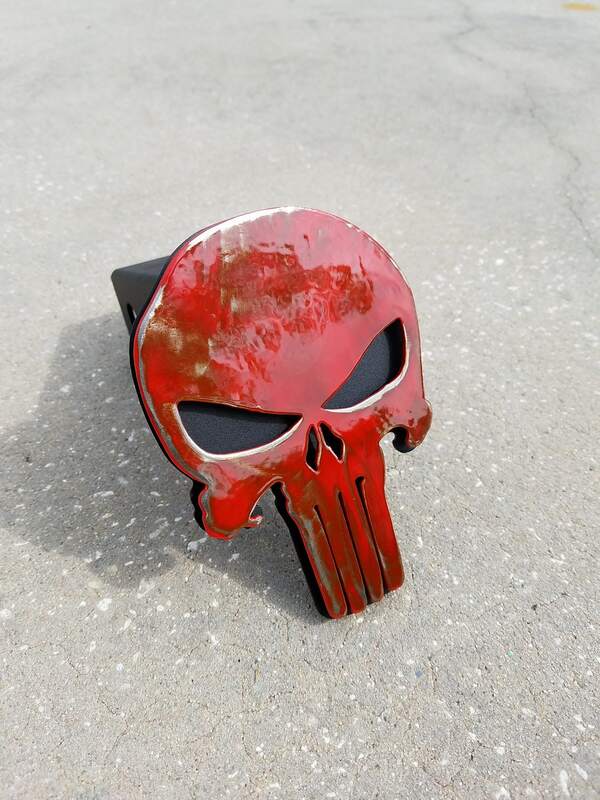 I can work with you if you prefer more or less "wear", but understand that each piece is one of a kind. 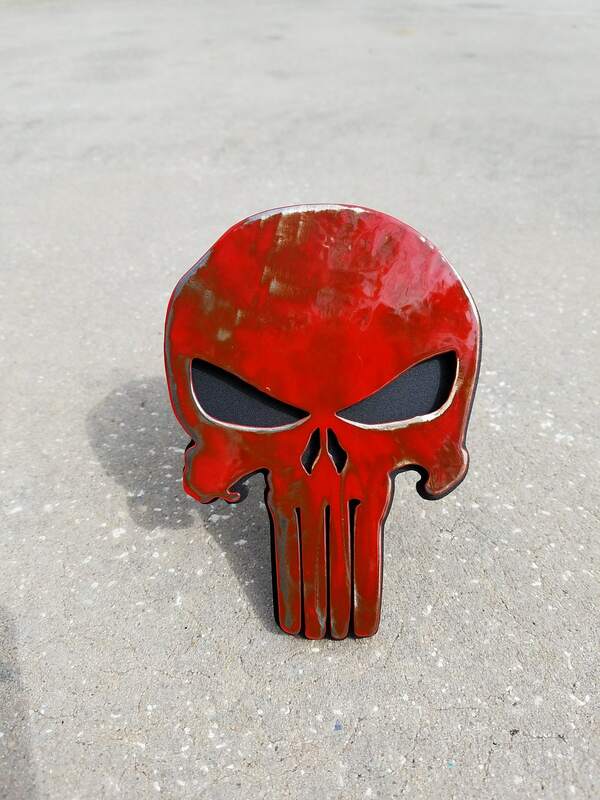 Multiple colors and configurations are available. 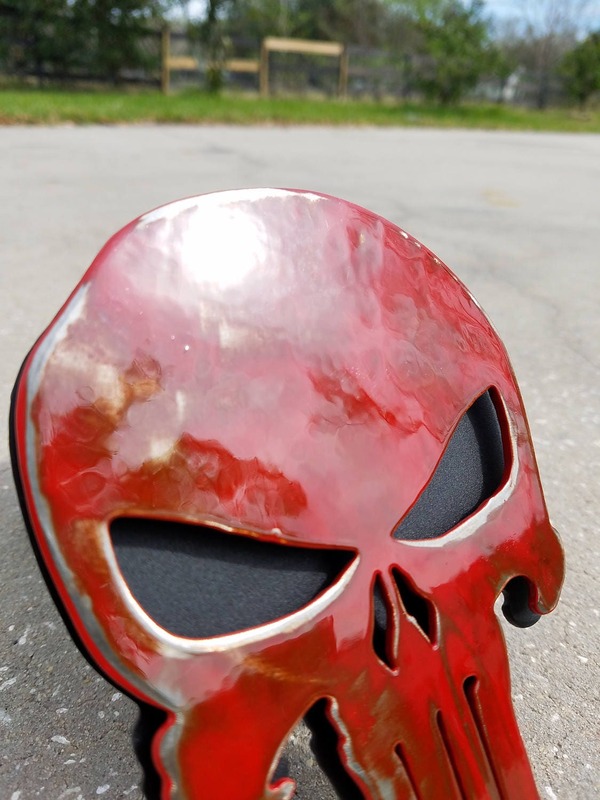 We offer patina finishing, matte, gloss, texture, copper, bronze....you name it we can do it. Please note, some options may come with additional pricing.